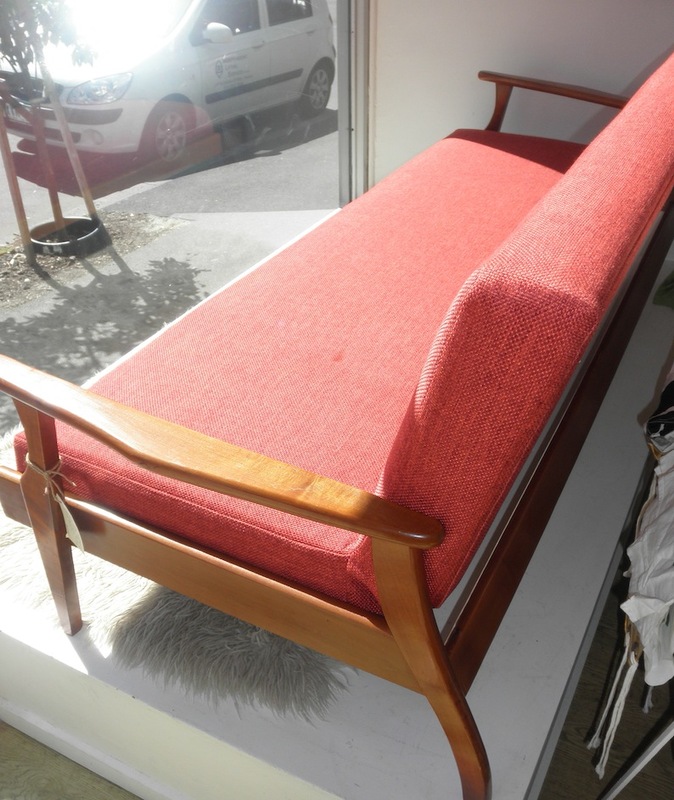 Practical and stylish danish style fold down couch. 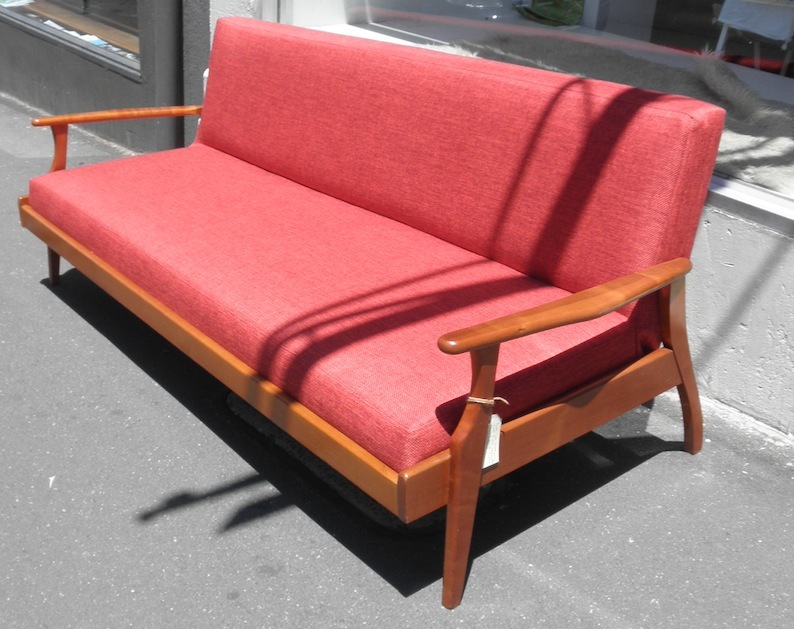 Just reupholstered in new Warrick woven textured fabric with a great mid century look. This has the advantage of being a solid comfy couch with the ability to fold down into a one piece bed perfect for the small flat that needs the odd sleep over guest without taking up space.